2150 & 2160 Summit St.
Columbus has more under its sleeves than you might ever imagine. 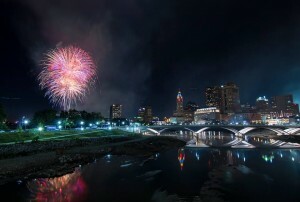 Due to very affordable rental prices and a low cost of home ownership, a population that makes it the fifth largest city in the Midwest, low unemployment rates, and an abundance of major corporations and their numerous employment opportunities, Columbus was named the number one Opportunity City in the U.S. by Forbes. And saying Columbus is a college destination is putting it lightly. With over 63 colleges and universities and 138,000 total students with 22,000 graduating every year, education is a defining feature of Columbus culture. In fact, Columbus is one of the most educated cities in the U.S. and is home to the largest concentration of PhDs in the Midwest. 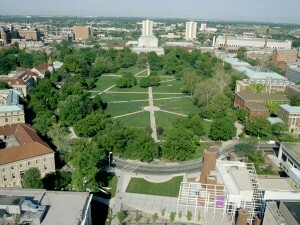 Ohio State University stands as one of Columbus’s defining features as well as the foundation for the city’s high level of education. The university draws in thousands of students each year while acts as cultural hub for much of the Midwest. OSU’s Wexner Center provides cultural entertainment that ranges from film and theater to dance and concerts as well exhibition throughout each year. The universities ranks 3rd among all universities in the country when it comes to industry-sponsored research especially in fields such as biological/agriculture engineering, material sciences and computer engineering. Throw in several major research institutions such as Bastelle, CAS and IBM’s Client Center: Analytics Solution Lab, and you start to realize why Columbus has so many citizens with PhDs. Clintonville and the Short North have held a “best Columbus neighborhood” rivalry for several years and really it is still up to debate. Clintonville is one Columbus’s largest neighborhoods and boasts some of the best public schools in the area. It’s about ten minutes north of downtown and also near Ohio State, so it’s residency and housing options are diverse. There’s a healthy mix of families and single-family homes, professionals that commute to Ohio State or downtown Columbus, and Ohio State University students, so you can expect to find houses for rent and studio apartments for rent in the area to accommodate all the different demographics. Short North is aptly named Short North because it’s the first town north of downtown and just south of OSU. Like Clintonville, Short North has received very high ratings and reviews from both residents and news publications such as Columbus Underground proclaiming that it is one of Columbus’s favorite neighborhoods. Due to an abundance of architecture dating from the 20th century and a community rebirth in the 80s with the growth of an arts community, Short North has its own very unique character and atmosphere. Often noted for its walkability, there are tons of great, local restaurants, coffee shops bars and shops in the neighborhood such as North Star Café and the Short North Coffee House. North Market has a farmers market on Saturdays, Goodale Park is just waiting to be strolled through and the Short North’s renown Gallery Hop takes place the first Saturday of every month. While the cost of living as grown as the area has become more popular, you can still find a cheap apartment with all bills paid if you take the time and use an apartment guide. On the other side of the spectrum, the neighborhood has seen an increase in available luxury apartments. Midwest natives will already know this, but Columbus can get pretty cold in the winter while its summer month are very mild. To save on the heating costs, keep an eye out for apartments with excellent insulation and dual-paned windows. Also, using an apartment finder will make it much easier to score on one of those apartments with utilities included. Same goes for pet-friendly apartments when on an apartment search in order to get the most options and best results. If there are other aspects of your apartment hunt that you need help with try consulting RentLingo’s Renter Resources. Whether it’s how to sublet an apartment, when and how you can break a lease, or calculate how much rent you can afford, we have all the information you need. RentLingo is your trusted apartment finder in Columbus. We hire local experts, such as former property managers and locators to anonymously tour and consistently rate and review every available place. They share their honest and unbiased perspective with you, so you know how every rental ranks in the area. Because our experts tour every property, we can offer consistent apartment ratings across every region. So unlike finding a Backpage or Craigslist rental, you can trust these apartments are verified and trustworthy: whether it's a cheap studio or a one bedroom with all utilities paid all the way up to a nice house for rent or a luxury condo.